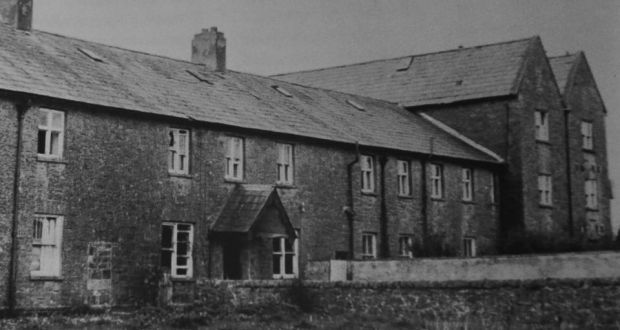 A three year investigation into Mother and Baby Homes commenced in early 2015. The initial scope of the inquiry was to look at 14 homes and a representative sample of County Homes and report their findings within an 18 month period. It is known that while resident in Mother and Baby homes both mothers and babies were subjected to emotional and physical abuse with their lives being controlled once they entered into the homes. Usually women and girls were forced to stay in the homes for at least three years unless they were able to pay an exorbitant amount of IR£100. Residents were often denied adequate medical care or pain relief while giving birth. After their time was up (and sometimes before) babies were taken from the residents and given up for adoption. Reports have been received by Adoption Support Groups that women were even forced to prepare and pack greeting cards for the birth of new babies. The UN has warned that the terms of reference of the investigation into Mother and Baby Homes is ‘too narrow’. The terms of reference for the commission of investigation into the homes, “is narrow such that it does not cover all homes and analogous institutions [and] therefore may not address the whole spectrum of abuses perpetrated against women and girls”. Many children were also sold into a network that stretched from Ireland to the United States of America. “it is almost impossible for them to find out anything about their background” – something many adopted people yearn for and the rest of us take for granted. A mother whose baby was put up for adoption had to sign two documents, one consenting to the adoption of her child and another stating that she understood the nature and effect of the consent she was giving. Yet many women who went through this process say they had no idea what they were signing: pieces of paper were thrust before them with an instruction to sign where indicated. Some have no recollection of signing anything, and in some situations the signatures were forged. Campaigners such as the Adoption Rights Alliance suspect that illegalities in the adoption process that have come to light, often by accident, barely scratch the surface. They argue that to leave the matter of illegal and forced adoptions out of the forthcoming commission of inquiry would be a devastating blow to a vulnerable group of people whose calls for acknowledgment and support in the past have fallen on deaf ears. Until the late 1970’s there was very little written about the long-term effects of relinquishment on mothers. This can include disturbing thoughts and memories, flashbacks, that are often intensified when people are exposed to happenings that remind them of the event. People suffering from PTSD can experience sleep disturbance, depression, anxiety, emotional numbness, anger and intense guilt. Today, as the mothers of this adoption era are entering into the latter years of their lives, it is imperative that extensive research be quickly undertaken in order to explore the incidence and the extent of their suffering from symptoms of PTSD, some for over 7 or 8 decades. An irrefutable moral and legal case has been made by survivors of the Mother and Baby Homes here in Ireland for the full inclusion for all survivors, which sadly at this time has been rejected without due and proper consideration. A general investigation is being sought into the illegal, illicit and unethical practices within the adoption system in Ireland over the last century.